Monitor call center agents in real time. 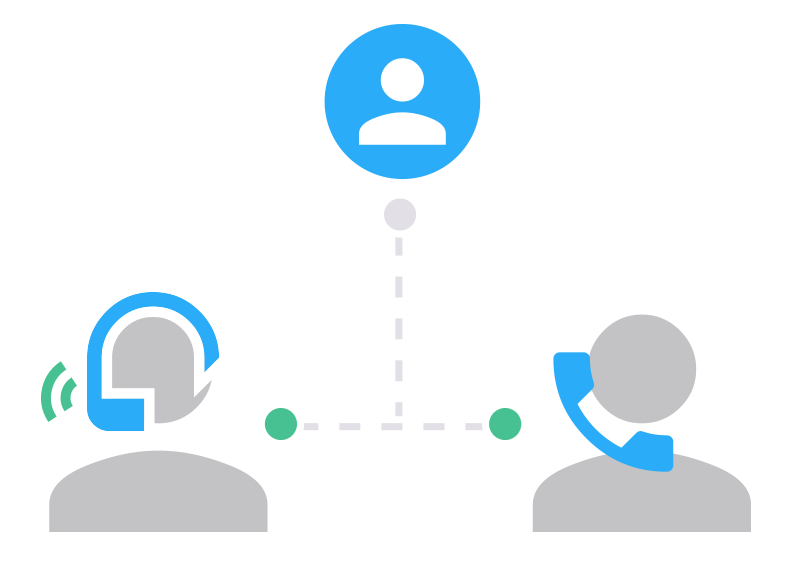 Training and managing customer service teams is more effective with call monitoring. Managers can listen in, whisper to agents, and barge into live calls to ensure quality standards are being met. With Telzio, you can monitor agent calls to gain knowledge on your customer needs and make better decisions about customer service and training. Telzio is completely cloud based, which means you can use call monitoring from any location. A cloud based call center from Telzio enables you to empower teams anywhere to deliver the best customer service experience possible. Maximize training and monitor agent performance on your customer service lines. With Telzio, you can be up and running with your contact center in minutes, and start monitoring live calls today. Use Telzio's Live Reports to see call activity and agent status in real time, then drop in on the call from any Telzio phone. With a simple key command, you can talk to agents without the customer hearing, or barge in to calls to take over the conversation. You can monitor calls from any Telzio phone, including IP phones softphones, the Telzio Webphone and the Telzio Mobile App. Can I record calls I monitor? Yes. You can enable call recording on inbound customer service calls, and also enable call recording during a live call from the Telzio Mobile App. Do I have to be an admin to use this feature? No, you can authorize any user to monitor calls. With User Permissions, you can grant access to managers to use selected features like call monitoring. How do I add this feature to my phone system? All call center software features are included with all Telzio plans at no additional charge. There's no configuration required to activate the features.